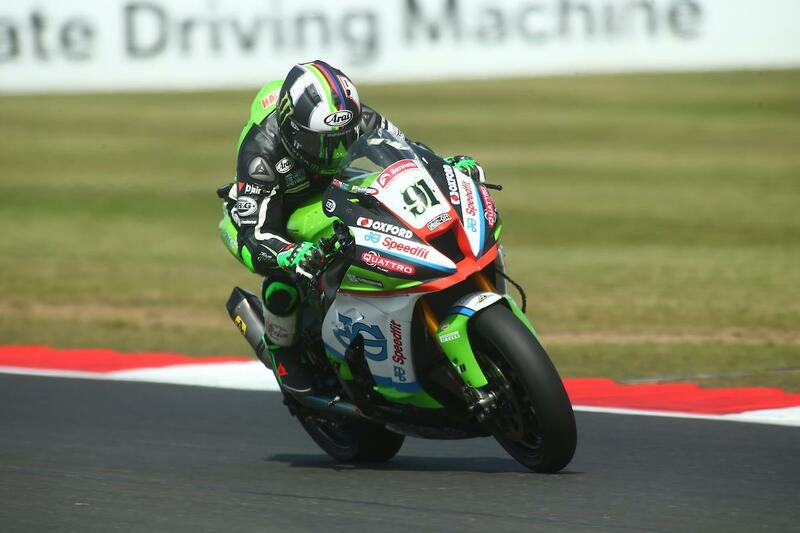 Leon Haslam led the way as the fourth round of the Bennetts British Superbike Championship got underway at Snetterton. The JG Speedfit Kawasaki star pipped McAMS Yamaha’s Josh Brookes to the top spot on the timesheets by just 0.078 seconds after two sessions on track. Glenn Irwin, promoted to the number one rider in the Be Wiser Ducati team in team-mate Shane Byrne’s absence, topped the morning session before going on to set the third quickest time of the day in FP2. Despite a small off at Agostini’s mid-way through the second session, Jake Dixon was fourth fastest for RAF Regular and Reserves Kawasaki while Danny Buchan rounded out the top five for FS3 Racing. Luke Mossey made it three four Kawasakis in the top six as he placed sixth quickest on the second JG Speedfit machine ahead of rookie Andrew Irwin, who impressed on his first day with the Be Wiser Ducati team as he replaces injured champion Byrne. James Ellison rounded out the day eighth for Anvil Hire TAG Racing while Michael Laverty and Tarran Mackenzie completed the top ten. Second in the championship, Bradley Ray was 11th quickest, while Honda’s duo of Jason O’Halloran and Dan Linfoot were 15th and 16th respectively as they return from injury.